Due to our devoted professionals, we have been accomplished to offer an extensive series of Transparent PET Water Jar. 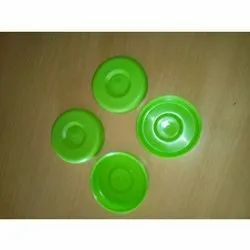 In line with customers' variegated needs and requirements, we are engaged in bringing forth a supreme quality gamut of Water Bottle Jar Caps which is manufactured in adherence with industrial standards. We supply the 20 ltr. WATER JAR CAPS as per customer's requirement. 20 liter water jar cap for packing 20 liter water jar. we are treading in 20 litter water jar caps. in all over Maharashtra. caps available in all colour and size available in 25 mm and 30 mm. plz feel free to cantact with me. We have gained rich industry experience for offering a wide array of 20 Litre Jar Caps to our valued clients. From our collection of products, we are immersed in bringing forward an optimum quality Water Jar Cap. 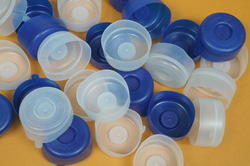 Within the short time period, we are engaged in presenting an excellent quality of Water Jar Cap.